So I have a little confession about watermelon. I used to HATE it. That's a big deal considering I'm from the south and watermelon in the south is a summer staple. It's everywhere. I remember how my dad would buy huge watermelons, cut them in slices and eat the slice the same is if it were a slice of pizza. The juice would run everywhere and he would spit out seeds. He loved it. I thought it was messy, unappetizing, not sweet enough and there was just something about the texture that I didn't like. Can any of you relate?? As I have gotten older, my relationship with the watermelon has changed- or perhaps my palette has evolved. I discovered the seedless watermelon and learned how to determine if they are sweet (I use this method and it works about 90% of the time). I also learned that they are delicious in smoothies and especially salads. This salad has become one of my favorite summer salads. It takes 5 seconds to make, which I love, and it's just very refreshing. 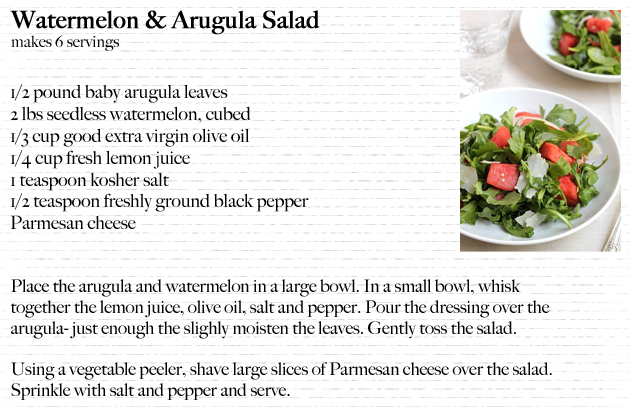 The lemon vinaigrette perfectly compliments the watermelon and peppery flavor of the arugula. The parmesan cheese adds a little salty bite and a hint of elegance. Ohhh this looks so light and fresh! Looks so good! I love watermelon this time of year, so refreshing. This is one of my all time favorite salads!!! I think I made this one around 50 times not only throughout the summer but during the winter too. My hubby is so tired of it. Its a staple around here for sure! 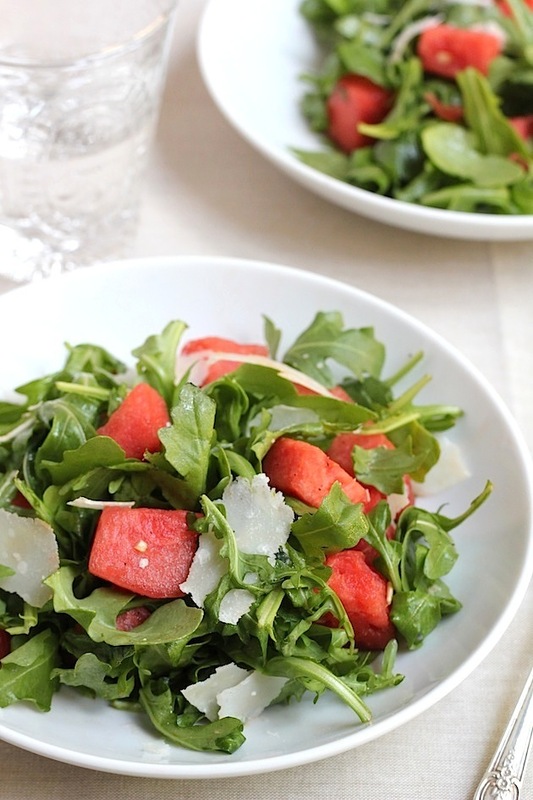 I've never tried watermelon in my salad but this looks delicious! Thanks for sharing the recipe! YUM! What a great and interesting combination...perfect for summer. That looks like it belongs on the cover of Bon Appetit! I'm addicted to watermelon salads this time of year. Great pictures. WELCOME TO THE NEW SAVOR HOME! !